Advanced Micro Devices, or AMD for short, started in May 1st 1969 with $100,000 in Sunnyvale California. By 1970 AMD developed its own proprietary device called the Am2501 logic counter and 2 years later in 1972 goes public. Industry: Semi-conductor Address is One AMD place Sunnyvale, Ca. AMD employs 10,400 people and is listed in the New York Stock Exchange NYSE as AMD. Main products are computer processors: which include microprocessors, motherboard chipsets, embedded processors and graphic processors. AMD is a local company with its main rival also being from the Silicon Valley Bay Area. AMD has various sales, manufacturing facilities, research and development and designs, and Business Operations offices all over the world. They have operations in North and South America, Europe, Asia, Africa, and the Middle East. 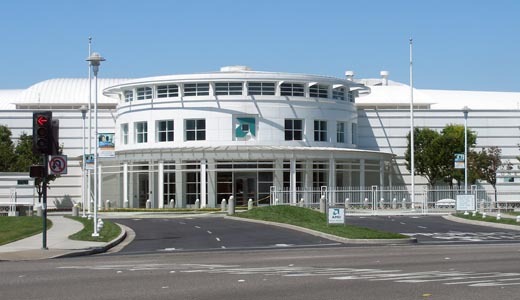 AMD's main competition is Intel, which is headquartered in Santa Clara, CA, and both have at times been partners and rivals. Intel being the world’s leading microprocessor developer has been accused on several occasions by AMD for attempting to gain control of the microprocessor market. In 1986, Intel ended an agreement with AMD to let them produce Intel’s microchips meant for IBM. In 1987 AMD filed for arbitration and by 1992 the arbitrator decided in favor of AMD. In 1990, Intel began a copyright infringement action accusing AMD of illegally using its 287 Microcode. By 1994 the case ended with the jury siding with AMD and gave them the right to use Intel’s Microcode in their microprocessors through the 486 Generation. More recently, in 2005 Intel was found guilty on various violations after an investigation by the Japan Federal Trade Commission. On June 27th of 2005 AMD won an Anti-Trust Lawsuit against Intel in Japan and on that same day filed an Anti-Trust complaint on Intel in the U.S. Federal District Court in Delaware. The allegations consist of Intel offering secret rebates, special discounts, threats, and various other ways to keep AMD processors out of the global Market. On November of 2009, Intel paid $1.25 billion and renewed a 5-year patent cross-licensing agreement as a settlement for their outstanding legal disputes.